Media reports indicate FCC Chairman Ajit Pai is shopping a proposal to replace the current Title II-based Open Internet regulations with a voluntary system. It’s not unusual for regulators to extract promises from the industries they regulate in lieu of rulemakings. The FCC routinely does this in merger reviews, and in fact a promise-based system called the Kingsbury Commitment organized the US telephone network in 1913. In Kingsbury, AT&T promised universal service in exchange for a monopoly. While opinions vary as to how well it worked relative to alternative formulations, it lasted until the 1982 AT&T divestiture brought it to an end. The idea of trading promises has a long pedigree. 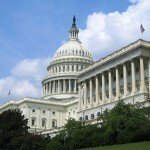 ISPs have already pledged to voluntarily hold to a set of broadband privacy principles, which they promoted as a way to avoid the FCC’s broadband privacy framework, which congressional Republicans just repealed, and has said they were generally OK with the baseline Open Internet rules of no blocking or degrading or paid prioritization, just not with them being imposed under a Title II common carrier regime that could potentially subject them to rate regulation. They have problems, however, with Title II status and with the poorly articulated “general conduct standard” that essentially give the FCC the authority to enforce rules that have never undergone an actual rulemaking. Title II allows the FCC to impose different privacy standards on ISPs than those that govern 99+% of the Internet advertising market for the foreseeable future. The fact that the advertisers object to ISPs voluntarily abiding by core net neutrality principles rather than complying because they have no choice is very telling. It suggests that the regulations themselves are not as important as the labeling. In today’s Internet, the ISPs are often seen as bad guys while the advertising networks are seen as benign-to-marvelous. A lot of this comes down to the fact that we have to pay for ISP services while advertising-supported services are free, minus a little bit of surrendered privacy. 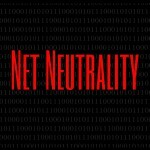 If ISPs voluntarily abide by net neutrality in the future – as they did before the FCC’s Title II regulations were enacted – the good guy/bad guy dichotomy is harder to sustain. It’s not going to disappear as long as users have issues with ISP support and have to pay bills, but it’s going to be a bit less shrill. IA members have additional issues. 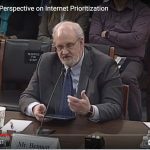 They regard ISPs as less competitive than edge services by relying on the effects of the FCC’s competition-distorting 25/3 definition of broadband that we discussed in our previous post. Compared to the concentration of edge service revenue in five (or six) players – Google, Facebook, Amazon, Apple, Microsoft, and Netflix – competition at the edge is more hypothetical than real. And 5G will certainly bring new entrants into the broadband business as we’re beginning to see with in spectrum acquisitions by cable companies and actual service offerings. 5G will be a lot of backhaul and a thin wireless edge so it’s a perfect play for cable companies whose networks already consist of a radio frequency network with fiber backhaul. But the benefit of voluntary regulations is in their flexibility. As things change, the voluntary compliance regime can also be changed to either permit or prevent ISPs from engaging in new services. The FCC will have a role in adjusting the promises, but the system of ISP regulation will look more like the co-regulatory norms that govern the rest of the Internet than like a set of telephone regulations. Is This Approach Too Flexible? Advertising industry surrogates such as Public Knowledge and the Open Technology Institute have naturally raised the objection that ISPs could agree to self-regulate today in exchange for a lighter touch and then abandon their commitment tomorrow when the coast is clear. They’re also upset about the task of enforcing the self-regulations moving from the FCC to the FTC. While we haven’t heard details from Chairman Pai’s office, it’s not hard to imagine the threat of re-regulation serving as the barrier to ISPs monkeying around with their promises. It’s probably worth noting that the AT&T never wired the whole nation for telephone service under Kingsbury. The last five percent were finally connected by cellular. The substitution of the FTC for the FCC actually makes a lot of sense, despite the complaints that the FCC is an “expert” on the Internet. In the first place, the FCC is expert in many areas but Internet service isn’t one of them. And secondly, the FTC is certainly an expert in economics and in enforcing truth-in-advertising, the relevant disciplines. So this doesn’t appear to be problematic. The best regulations can disappear when they become accepted ways of doing business with broad popular support. Behavioral norms that bring maximum welfare to everyone are enforced by everyone in the market. No ISP wants to be seen as a demon. In any case, Chairman Pai’s proposal makes a great deal of sense even if some important details remain to be ironed out.